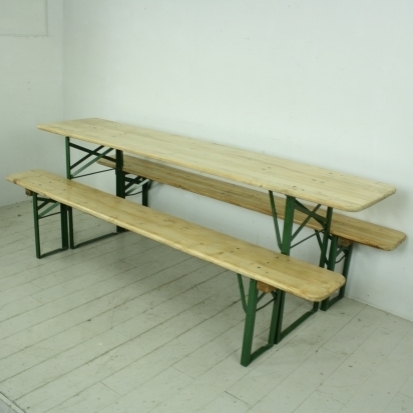 Lovely Biergarten pine beer table and benches which have been sanded and waxed and left in their natural pine finish. Great for entertaining - perfect for (kids) parties and BBQs. 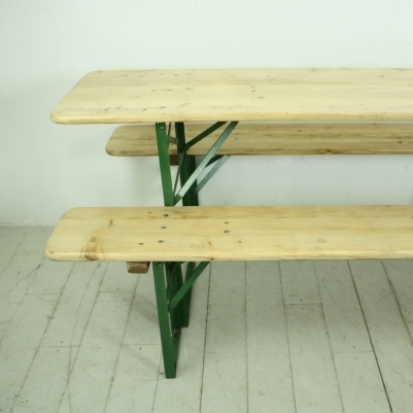 Also works as a back-up table indoors. 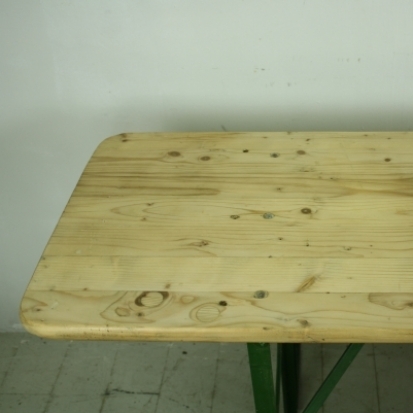 Table 220cm L x 50cm W x 78cm H.
Benches 217 cm L x 24cm W x 48cm H.
Please note: These are waxed so are not waterproof, to prolong the life of these they should be covered whenever possible to protect against the rain if stored outside. Alternatively we can exterior varnish these for you if you request at checkout. 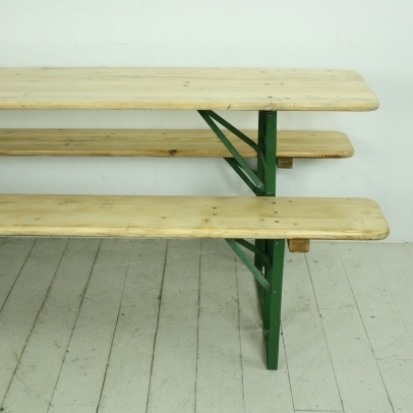 Also this is a vintage item so has a few scuffs, scratches and paint loss all adding to its appeal, there may be slight differences in colour and wear from set to set. 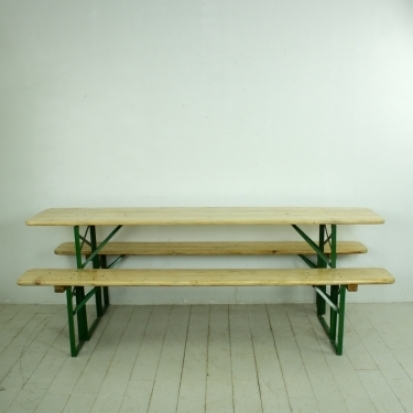 Practical and appealing, these benches can be positioned end to end for banquets/beer fests!